Reset Windows 10 Password without Reset Disk? Forgot Windows 10 login password? 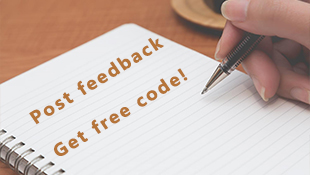 No matter you are using administrator, local account or the Microsoft account, you can find some quick solutions here! 4 simple steps reset Windows 10 password for you without data lost! No need to reinstall Windows 10! Windows sign-in password does help us prevent unauthorized access to our computer. More and more Windows users have installed Windows 10. However, it happens frequently that users forgot their Windows 10 login password especially for complicated and irrelevant password. Or some even found their correct passwords have not been accepted by Windows 10 anymore. As a result, you will lock out of our Windows 10 computer. Try every possible password combinations and is still locked out? You may get crazy here. You may search the Internet to find possible method to reset Windows 10 password without damaging data inside the account. However, most solution needs you to go through complicated process like CMD. 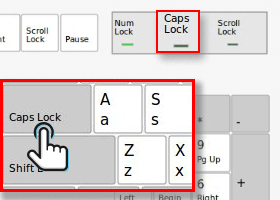 Even you get into CMD, this method may not work in Windows 10. For local account and administrator, the best and easiest way is to reset Windows 10 password with the password reset disk for Windows 10. Important: The password reset disk need to be created before you locked out of your account. Please know that the password reset disk you created only works with the local account. You can click how to reset Windows 10 password with password reset disk to get detailed password reset process. More: Possible reasons lead to Windows 10 login password incorrect. If you share your computer with others, you may create another account which is set to have administrator privilege. If yes, you can use the account with administrator privilege to change the password for your account. If your account is the only one in your computer, you may try the Method 3 directly if you do not want to reinstall Windows 10. If you are using the Microsoft account to login your computer, you need to reset the password for the email. Go to the sign in page of Microsoft and reset the password. However, the Microsoft password reset service does not work and you want to access to the data as soon as possible? What if we do not have the password reset disk and it is the only one account? Does it means we have to reset Windows system and lost all the data in the account? Of course not! Try method 3 now! 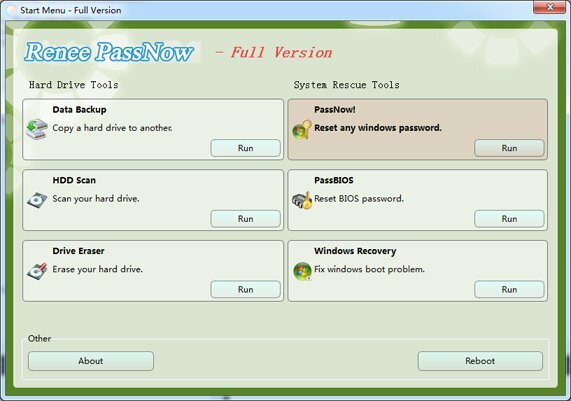 If you do not have the pre-created password reset disk and it is the only one account in your Windows 10, professional Windows 10 password reset tool – Renee Passnow is your best choice at this moment. No password? No password reset disk? No problem! 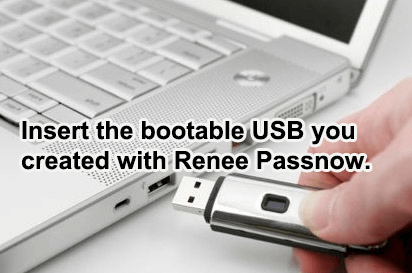 Now Renee Passnow helps you create a password reset disk without any possible password of the account! Whole password reset process takes only 4 simple steps without damaging data inside! Do not require any professional knowledge or possible password combinations. For local account and administrator, Renee Passsnow will remove the password directly. For Microsoft account, Renee Passnow will turn the Microsoft account into local one and reserve all data inside the account. 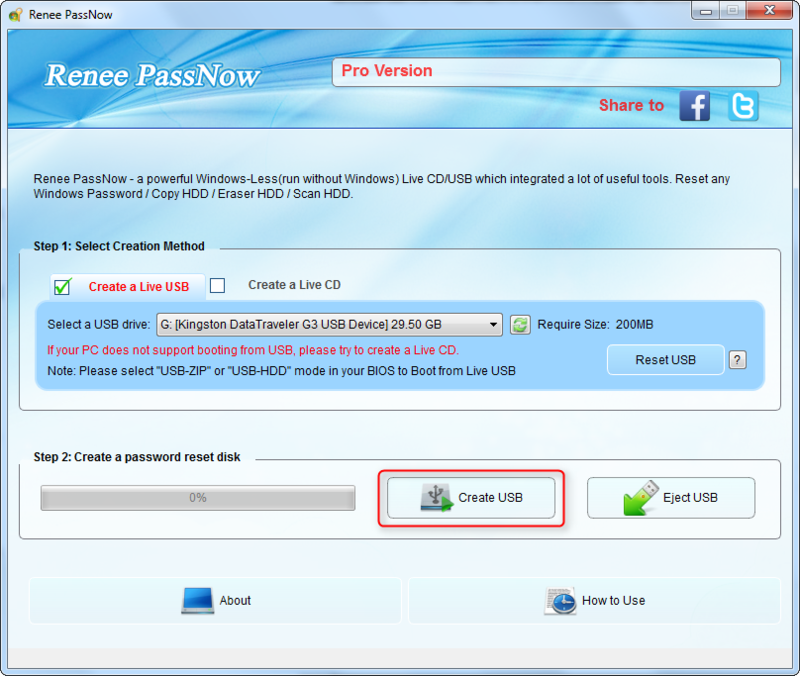 Renee Passnow can help to recover data or transfer data inside the disk without running Windows. Compatible with: Windows 10, 8.1, 8, 7, Vista, XP. people has downloaded and reset the password successfully! Whole password reset disk process with Renee Passnow does not need to provide any possible password or account information. 1. Connect the new password reset disk to the target Windows 10 computer you want to reset password for. If you create Windows 10 password reset disk with USB, please connect the disk and the mouse to USB 2.0 Port which is in grey while USB 3.0 Port is in blue. It may not support USB 3.0 Port in some PC, but supports all the USB 2.0 Port. 2. Enter BIOS setting and change boot order. 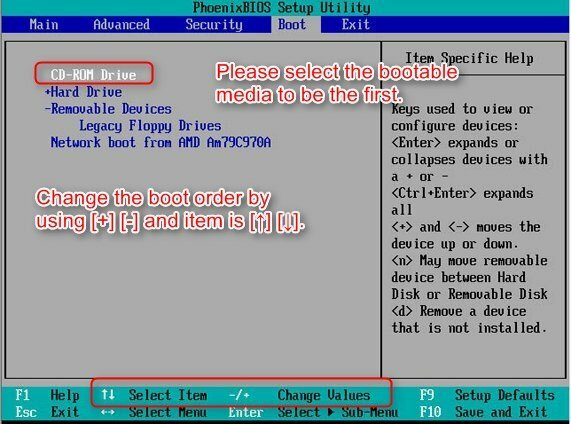 Change the boot order of the target PC in BIOS. 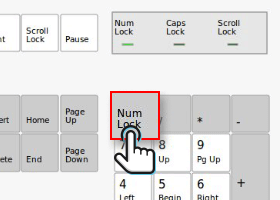 If the password reset disk is not the first in the boot order, your PC will start “normally” (i.e. boot from your hard drive) and will not check other drive. ☞ If your computer is UEFI environment, check boot from USB under UEFI environment. Step 2: Select “PassNow!” function after booting from the new created Windows password reset disk. Step 3: Select target Windows 10 system in the list. Step 4: Choose the target account then click “Clear Password” to reset Windows 10 login password. The new account named “Reneelab” you created with Renee Passnow is enabled with administrator privilege in default. And the default password is 123456789. This first happened in Windows 10. Users will be asked to set the PIN code when they login Windows 10 with the Microsoft account. And after setting, we will login Windows 10 with PIN code instead of the password of our account. But this PIN code will be failed to work once you update your Windows, which is similar to many smart phones, finger print login need to be re-actived once you restart the mobile. Then you are required to enter the password. Some users may found they forgot the password they set! How to solve the forgotten password? Solution: At this moment, you need to go to Microsoft to reset the forgotten login password of your Microsoft Account. If it does not work, you can also create a new administrator account or reset the forgotten Windows 10 password with Renee Passnow to access data associated with your Microsoft account Please note that settings and some online data in the original Microsoft account will not be applied in the new administrator account. And resetting password for Microsoft account with Renee Passnow will not change the password for the email. It is making the online account to be a local one which preserves all the data in the online account. If you forgot the password of Microsoft account, please refer to Method 2 to reset password for Microsoft account. After trying every possible combination, you are still notified that the password is not correct. However, you do not want to pass through your computer to others because you saved lots of personal files insides. Although they make promise, who knows? Solution: You can reset the password with Renee Passnow in 4 simple steps (Please refer to Method 3). Of course, it is much economical when comparing with system reinstall and send the computer to professional. Do not create the password reset disk for your Windows 10 and now you are locked out of your account? No problem. With Renee Passnow, you can create the Windows 10 password reset disk at any other computer without providing password and account information. Just a few simple steps, you can reset Windows 10 login password and regain access to your account without data lost! How to Create Password Reset Disk on Windows 10? Advantages and Disadvantages of Windows 10. Worth to Upgrade?